At the time of the introduction of Face ID, Apple claimed it was a major improvement in terms of accuracy compared to Touch ID, with the newer system reportedly having a one-in-a-minimum false positive rate. While quite secure, Apple also admitted there could be issues with identical twins or family members that are visually similar to each other fooling the system. In early tests using the iPhone X, there were mixed results, with some finding identical twins were able to be distinguished, while other reports found cases where a mother and son could confuse Face ID enough to unlock the smartphone. Attempts to fool Face ID using a specially-created face mask have also been met with success, though the skills required to produce such an item remain out of most people’s abilities. 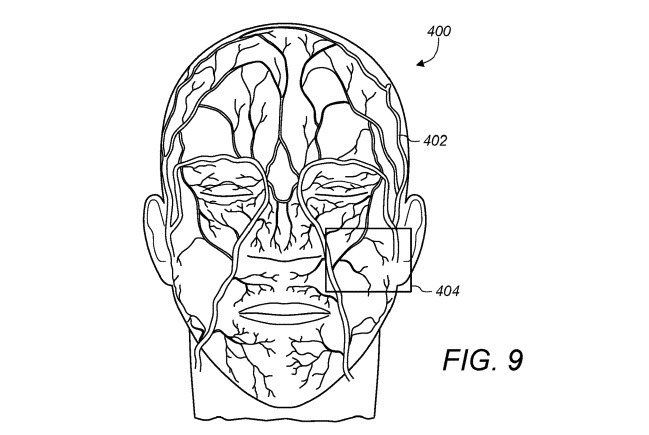 In a patent application published by the US Patent and Trademark Office on Thursday, the filing for “Vein matching for difficult biometric authentication cases” suggests the use of veins in a face as part of a user’s overall visual identity. While identical twins can share extremely similar facial features, the two would have dramatically different vein patterns that lie just below the skin. The system revolves around the taking of subepidermal images that includes features like blood vessels. Much like how Face ID creates a 3D map of the user’s face and compares against existing algorithmic versions known to be of the device owner, the subepidermal images would be used to assess known below-the-skin elements of the user. As with other methods, if the system believes there is a close-enough match between the just-taken images and those on file, be it direct comparisons, using a template of a specific region of the face, or by an algorithmic score, it will unlock the device. The images would use an infrared sensor in a camera to take the images of the user’s veins, with a flood and speckle pattern infrared illuminators used to light up the unseen features. While the system would ultimately help distinguish between visually-identical people, it would also prevent attempts to use masks to bypass authentication. A user’s face may be mapped relatively easily, but the same cannot be said about vein patterns below the skin, and to do so would require considerable cooperation from the intended subject to acquire, let alone to recreate. Apple files numerous patents on a weekly basis, and while the concepts described demonstrate areas of Apple’s interests, there is no guarantee that it will appear in a future product or service. 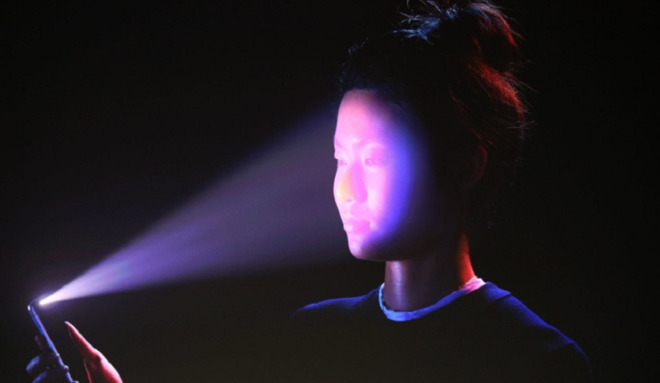 As the current iteration of Face ID relies on infrared dot projection onto a user’s face via the TrueDepth camera array, it seems that making changes to how Face ID fundamentally operates would not require a change in hardware, and could potentially be added to existing devices using the technology as part of a software update. It is largely believed that Face ID is purely an external appearance-based authentication system, but it is plausible Apple could already be using subepidermal elements in the system. This is not the only time Apple has looked into using veins for authentication. One patent granted on May 2018 for ‘Vein imaging using detection of pulsed radiation” similarly describes an infrared emitter and receiver to detect blood vessel patterns in a user, but goes one step further and uses the time-of-flight of pulses to create a three-dimensional map of the user’s veins.